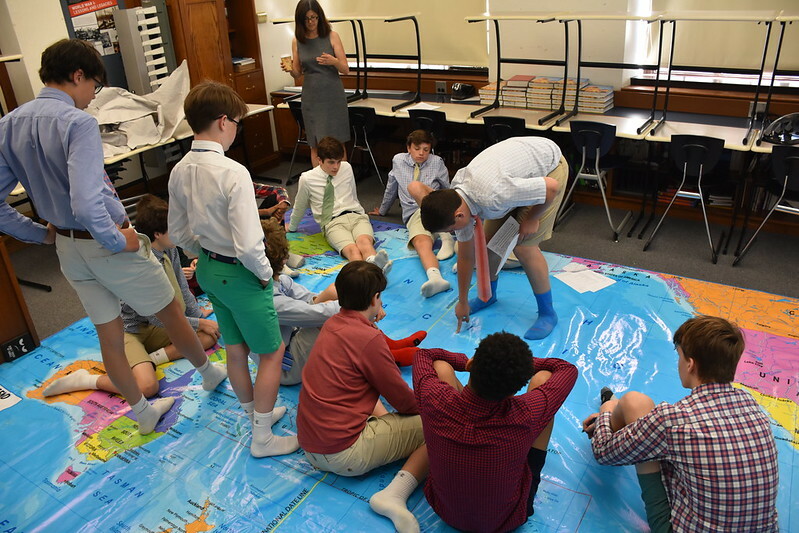 Form II students gave oral presentations about key battles of the Pacific Theater during World War II in Dr. Schiller’s history class using a large-scale floor map that was purchased using a grant from the Parents’ Association. This kinetic activity allowed the boys to better understand the vast distances between island chains and how these helped inform Japanese and Allied military strategies. Enjoy the photos!